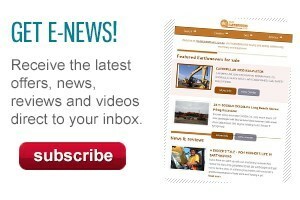 Australia is one of the world’s biggest markets for excavators over 30 tonnes. We’ve got a lot of land to cover here, and a lot of earth to be moved. Australia loves a big digger. 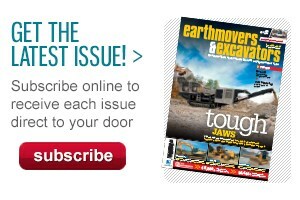 That may be the understatement of the century, especially for us here at Earthmovers & Excavators. The market for machines over 30 tonnes here is booming, and is only getting bigger thanks to the slew of major infrastructure projects going on. This 52-tonne big boy is a legend of the quarry, chewing through hard rock thanks to its 740 litres per minute hydraulic pumps delivering over 276kN of breakout force at the bucket. The digger is powered by a 6-cylinder 255kW Cummins diesel, sits on 5.4m long tracks and has a dig depth of just over 6 metres. The R520LC-9 features a three square metre bucket to minimise pass numbers, while inside the cab the height-adjustable joystick controls. The operator’s seat in the cab is also fully adjustable and is integrated with the console to absorb vibration, keeping operator fatigue down. The Komatsu PC300LC-8 is 34.6 tonnes of muscle driven by a 4-cylinder turbocharged and aftercooled 184kW Tier III Komatsu diesel and is loaded with the latest tech. 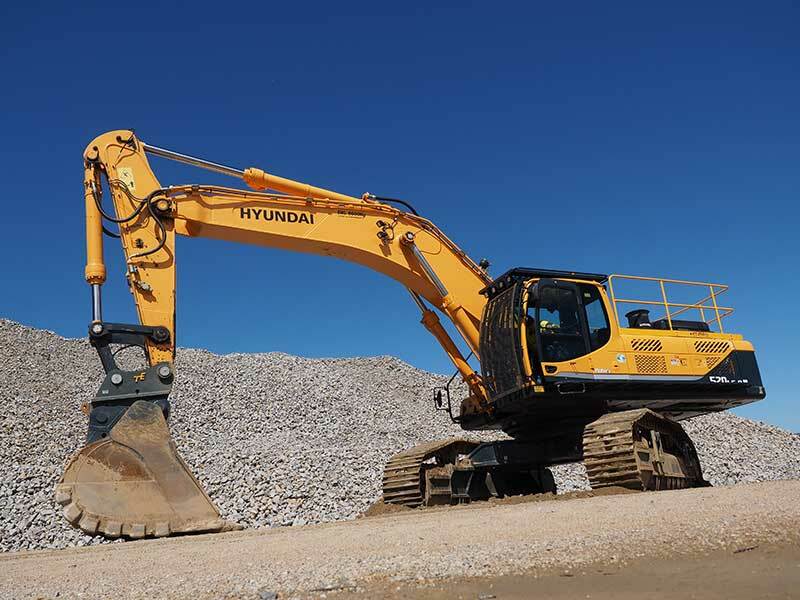 The PC300LC-8 can achieve a breakout force of just over 20 tonnes at the bucket and features Komatsu’s innovative ‘HydrauMind’ hydraulic valve system, which can deliver a flow rate of 535 litres per minute. Other tech features include a high-resolution 7-inch LCD display plus 6 individual work modes with adjustable hydraulic flow rates to match they type of work being done. In the long run this will save a lot of money in fuel use and machine wear. The 37-tonne Cat 335F L CR is specifically designed as a long machine with a compact radius, perfectly suited to larger urban infrastructure projects where a big machine is needed in a tight space. 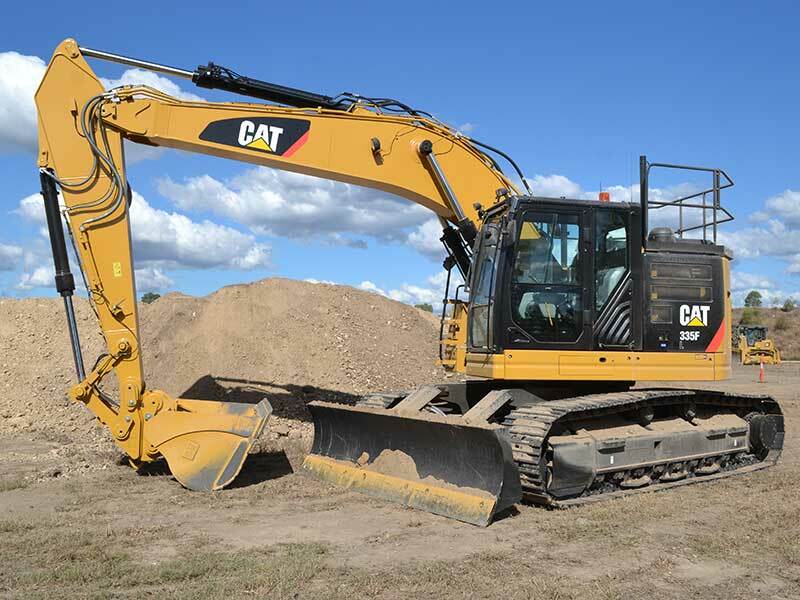 The Cat 335F also features a mini-excavator style blade on the front of the machine. Blades on larger machines are uncommon and this addition greatly expands the 335F’s versatility. For the guts of the machine, Cat has opted for a Tier 4 149kW Cat C7.1 ACERT diesel, and the hydraulics are capable of a flow of 494 litres per minute. 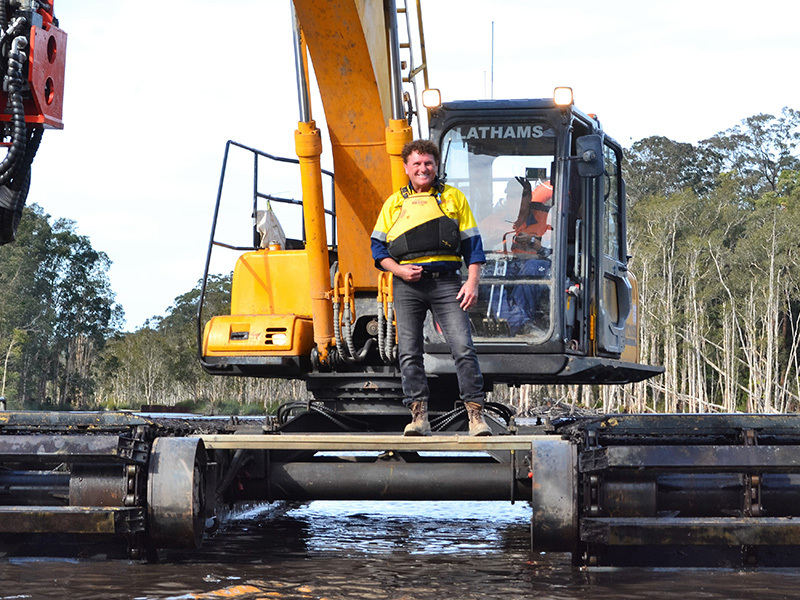 This 40-tonner makes our list even though it has a bit of an unfair advantage – it floats on water. 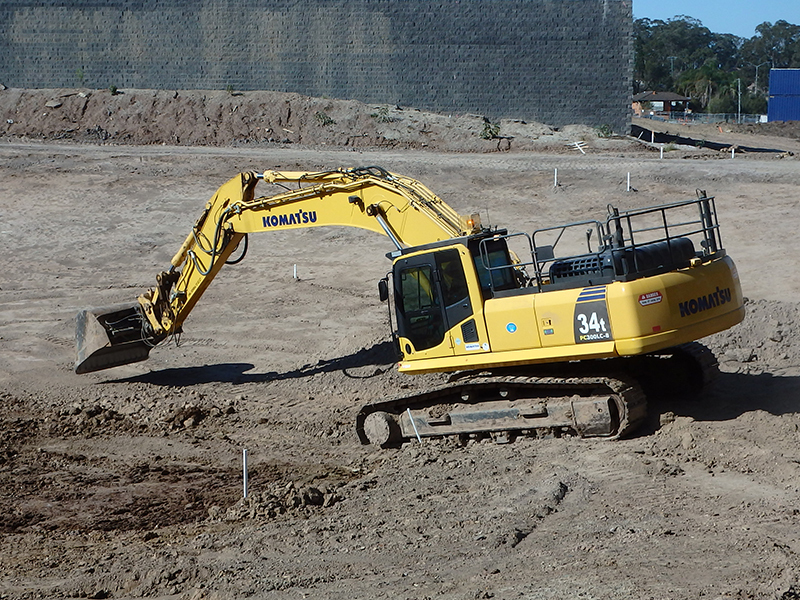 Known as an ‘amphibious’ excavator, these beasts are often used in environmental remediation sites like old mines. Apart from the Zhenyu’s pontoon-esque tracks, the excavator has a 110kW 6-cylinder Isuzu diesel, with natural aspiration. This is important as it allows some level of moisture intake. 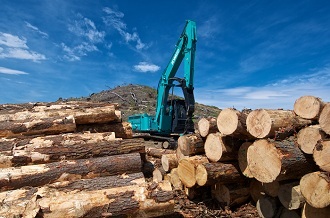 This types of machines can simply do things that other machines can’t and represent the future of heavy machinery. Areas and jobs previously deemed impossible are now ithin reach thanks to some forward thinking. Last, but definitely not least, on this list is the Kobelco SK350LC-8, a 35-tonne powerhouse running on a Tier 3 197kW six-cylinder Hino diesel. The SK350LC-8 features Kobelco’s heavy duty boom and arm combo and a hydraulic pump Kobelco says has a 22 percent higher capacity. This results in a breakout force of 222kN at the bucket. The cab on the SK350LC-8 has been designed with wide entry, excellent visibility and heaps of legroom for the operator. Kobelco says noise levels inside the pressurised cab have been reduced by 4dB. 2017 CATERPILLAR 335F LCR RENTAL UNIT !